Do tortured child soldiers belong in Canadian prisons? On behalf of all Canadians who believe in the rule of law, we urge you to take a stand against the ongoing violation of Omar Khadr’s legal and human rights. The silence of Canadians inside and outside Parliament makes us complicit in a gross miscarriage of justice against a fellow Canadian. “Some cases enshrine the defining moments of their time. Omar Khadr’s is one. Future generations will rightly judge our shocking dereliction of responsibility in this matter [and] our collective Canadian failure to extend justice and humanity.” – Constance Backhouse, Distinguished University Professor of Law, University of Ottawa. At 27, Omar suffers the ongoing effects of his torture and mistreatment: physical injuries, PTSD, chronic pain from infection in old wounds, and potential total blindness. Omar has spent 4258 days in prison since the age of 15; including 93 days in Bagram, 3624 days in Guantanamo and 541 days in Canadian detention. Although a number of children were detained in Gitmo, all were repatriated by Human Rights Watch. Omar was the only child left abandoned by his country and a decade later he was the last citizen of a Western country to be repatriated. The Canadian government reluctantly transferred Omar to Canada in September 2012 and continues to issue prejudicial statements which demonize him as a “heinous terrorist”. While every other Western nation released their citizens upon transfer from Guantanamo, Omar was immediately incarcerated in his native country. Instead of reintegrating him into society, Canada insists on his imprisonment under harsh conditions. 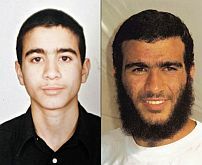 In 2013, the Canadian Office of the Correctional Investigator pointed out Omar Khadr showed no signs of aggressive or dangerous behaviour, and “consistently verbalized his goal to conduct a peaceful, prosocial life as a Canadian citizen.” In Guantanamo, Omar had been classified as “minimum security”. Omar was offered his only chance to leave “Gitmo” by signing a “get-out-of-Guantanamo plea deal” before a universally-condemned U.S. military commission. Omar’s ongoing imprisonment ignores that his plea deal was extracted with evidence obtained under torture and the Guantanamo sentence was imposed in violation of the Geneva Conventions, the Rome Statute and the Crimes Against Humanity and War Crimes Act. Omar is the only child convicted of a war crime in modern history and the only person found guilty in the death of a U.S. soldier in the recent Afghanistan and Iraq wars. Canada knows there is no proof of guilt, and that Omar was ‘charged’ retroactively with newly created war crimes not recognized by international or Canadian law. Any legitimate court of law would not have tried or convicted him. 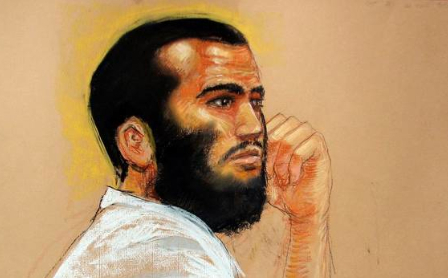 The Supreme Court of Canada, the Federal Court, the Federal Court of Appeal and the U.S. Supreme Court have all ruled that Omar Khadr’s rights were violated by the U.S. and Canada. See the November 2013 talk [ > link to video ]: U.S. Department of Defence lawyer, Sam Morison discusses his recent appeal of Omar’s U.S. ‘conviction’ and explains why there is no legal basis for his imprisonment. After viewing the above, please answer the following question (with any additional comments you would like to add) and email your answer to: freeomarkhadrnow@gmail.com by April 22 2014. All MPs’ responses and non-responses will be shared with media and added to our website page: Politicians Speaking Out! Thank you for making your position, on this defining case, clear to your constituents and all Canadians. The Free Omar Khadr Now Committee is a diverse group of citizens who advocate on behalf of Omar Khadr and raise awareness about the loss of his legal rights and protections. Free Omar Khadr Now committee member, Helen Sadowski, contacted Tory MP, Laurie Hawn, in November 2013, informing him about the facts of Omar’s case and asking when will his government stop using Omar Khadr as a political scapegoat to win votes. She invited him to hear Omar’s U.S. Dept. of Defense lawyer, Sam Morison, speak about the appeal to overturn all of Khadr’s convictions at Kings College University in Edmonton. In our view, Omar Khadr was convicted of a crime by a legitimate judicial process. When he has finished serving his sentence, he will be released and treated like anyone else. There is a bit of a contradiction in your request. At the time, some people were saying that Khadr couldn’t possibly be a soldier, because he was only 15 when he murdered Sgt Speer. A great many Canadians understandably put the Canadian context onto a place like Afghanistan. I have followed that conflict very closely and have been there several times. A 15-year-old in that environment is not like a 15-year-old in Canada. He is effectively an adult and there are many, many Omar Khadrs in Afghanistan and other primitive societies the likes of radical Islamism. I can have sympathy for Khadr growing up in a freely-admitted terrorist family, who took disgraceful advantage of their Canadian connection. But, I don’t agree that he should not pay for what he did, and there are more sides to the story than the one you’ll hear from his lawyers. I also appreciate your concerns on press releases regarding Omar Khadr. I don’t necessarily agree with everything that we do in this regard either. Thank you once again for writing. If there is any other way that my office can be of assistance to you in the future please do not hesitate to contact us. 1. You say: “Omar Khadr was convicted of a crime by a legitimate judicial process”. The crimes that Omar Khadr was convicted of were “invented” in 2006 by the US government and these crimes are not recognized by Canada nor other international jurisdictions. In addition, these newly defined laws were then applied retroactively to actions of 2002. The US Federal Court has already ruled in another case of a Guantanamo detainee that retroactive convictions are illegal. The judicial process was a military process and therefore an inferior legal process. US citizens are prohibited by law from being tried by a military tribunal as it would be a violation of their rights as it is of course for Canadian citizens. Omar Khadr’s legal rights were violated and this was well expressed by Romeo Dallaire, retired LGeneral: “During the 10 years that this nightmare has gone on, we have realized that the most serious violations of Khadr’s rights have been covered up: violations of the right to due process, the right to protection from torture, the right to protection from arbitrary imprisonment, the right to protection from retroactive prosecution, the right to a fair trial, the right to confidential legal representation at the appropriate time and place, the right to be tried by an independent and impartial tribunal, the right to habeas corpus, the right to equality before the law and the rights stemming from the Convention on the Rights of the Child”. If the above violation of legal rights was the case, how is it possible to determine guilt or innocence? Both national and international law associations as well as academics have spoken on the “legal blackhole” that is Guantanamo. While your government has shown a disdain for academic elites and scientists in the past, there is no doubt that a democracy relies on its citizens and representatives to have respect for the law, otherwise we are bordering on fascism. 2. You say: “When he murdered Sergeant Speer“. The laws of war don’t recognize this as murder, but it is rather a combat fatality. Paul Koring recently wrote in the Globe and Mail: “Sergeant Christopher Speer, helmetless and wearing Afghan garb, was killed by a grenade blast. Sgt. Speer, a qualified medic, was part of assault team when he suffered fatal head wounds”. Being a military man yourself, you might also wonder why Speer was dressed in Afghan garb when he undertook the assault and if he was in fact an unlawful combatant himself. It is highly improbable that Khadr who was unconscious, blinded in one eye and covered in rubble could have thrown a grenade 80 ft. backwards over a high fence. There were no eyewitnesses to the actual throwing of the grenade and later evidence shows that it was an American grenade that killed Speer. Omar Khadr while in a prone position and defenceless was shot twice in the back by a US soldier. Omar Khadr was himself a victim of a war crime, that is internationally recognized. The Pentagon lawyer Sam Morison who is launching an appeal to overturn all the convictions has evidence of this breech in the laws of war. 3. You say: “A 15-year-old in that environment is not like a 15-year-old in Canada. He is effectively an adult and there are many, many Omar Khadrs in Afghanistan and other primitive societies the likes of radical Islamism”. That comment and especially “primitive societies” made me feel sick to my stomach. I worked in the Federal government for 30 years and was for a period of time head of the Citizenship Court. For me it is deeply insulting to categorize other countries in such ways. Again, respect for the law is fundamental to a democracy. While you may not agree with the definition of a minor, you are not in a position to just make up some other laws that suit you better. Canada recognizes child soldiers in Africa and gives them refuge in our own country. Can you explain the difference as to the treatment of Omar Khadr? Does someone’s ethnic, religious or racial background disqualify them from the rights and protections normally guaranteed by citizenship and our laws? 4. You say: “I can have sympathy for Khadr growing up in a freely-admitted terrorist family who took disgraceful advantage of their Canadian connection“. You have no facts to prove that the family of 7 children and 2 parents was a terrorist family. Comments made by the mother and daughter while dressed in a hijab were not terrorist actions, even if you didn’t agree with them. One son was an informant for the US government. Family members, including Omar cannot be held responsible for the alleged actions of the father. At this point in time, Khadr has been denied his legitimate rights as a Canadian citizen and that has been upheld by the Supreme Court of Canada and will be part of an upcoming civil suit against the government. Most likely the mistakes of this government and its decision to ignore the rule of law will cost taxpayers upward of $20M. 5. You say: “Press releases regarding Omar Khadr”. Vic Toews, while the Minister of Public Safety oversaw the return of Omar Khadr to Canada. Toews used a publicly discredited analysis by a forensic psychiatrist and prosecution witness to condemn Khadr as a jihadist and threat to Canadian society. The similarities of the Omar Khadr case to the French Dreyfus affair, the Jewish military man charged with spying, are truly haunting … interference at the highest political levels, miscarriage of justice, racism and the dissemination of misinformation and emotionally charged material. I share the above as a concerned citizen who believes that our country’s democracy depends on the equal treatment of citizens, a respect for the rule of law and an informed and educated population. I hope elected representatives will start a debate about the treatment of Omar Khadr and seek to consider all available information. In that respect, please share your sources with me on any of the above points that support your views. 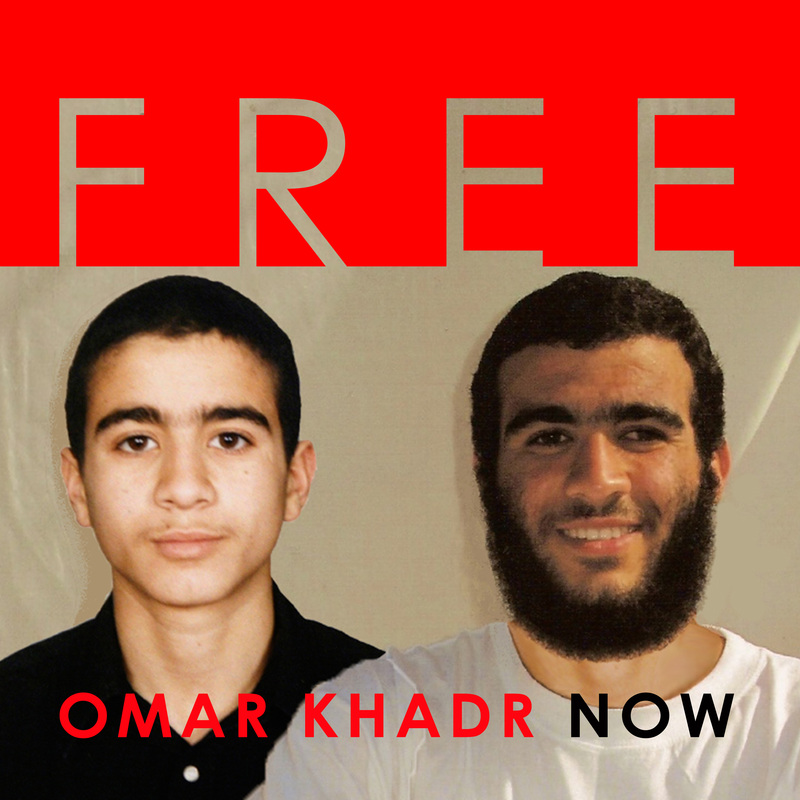 In light of recent media coverage of Vic Toew’s denial of a media request for an interview with Omar Khadr, the Vancouver Free Omar Khadr Campaign is encouraging a letter writing campaign to share our criticism of his appalling interference. Please forward or edit the template letter as you see fit. It would be very helpful if you sent copies to Stephen Harper and your M.P. Address/Contact information is provided below. 1. allow the warden’s decision to take precedence and allow media access to Omar Khadr. 2. end the complicity of Canadian government officials in the ongoing violation of Omar Khadr’s human rights that are protected by international law and the Canadian Charter of Rights and Freedoms. 5. Send a copy to your M.P. Remember Canada is complicit in the ongoing torture of Omar Khadr! based on the illegal conviction in Guantanamo Military Court for alleged crimes, that did not existed under international law and where he could not defend against.